Wear your civic pride. 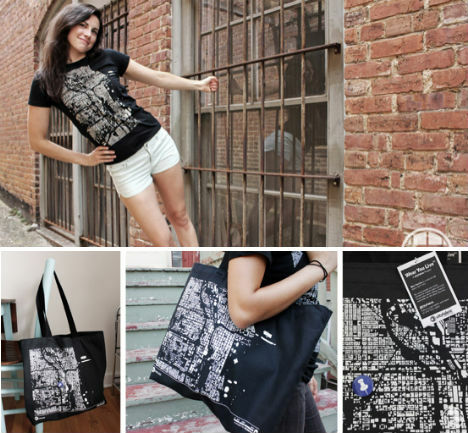 Startup company CityFabric produces hand-crafted t-shirts, totes and prints bearing maps of thirteen cities around the United States including Atlanta, San Francisco, Philadelphia and Boston. 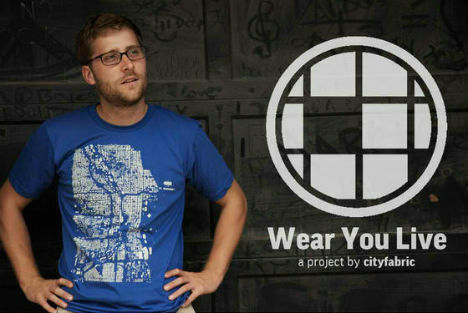 Based in Raleigh, North Carolina, CityFabric got a big boost from a Kickstarter campaign in 2011 and has now opened an online store. 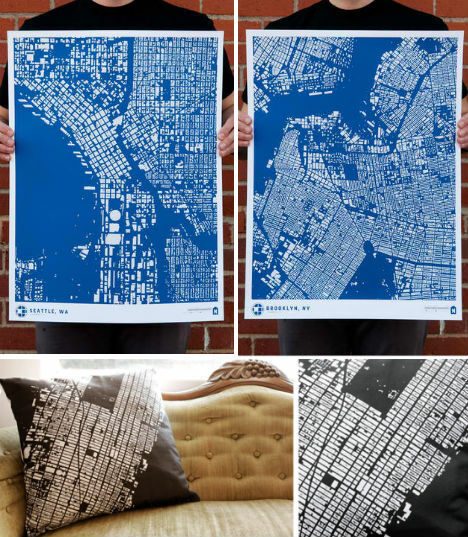 Far superior to touristy shirts reading out the name of your favorite city, these maps are an eye-catching, graphic way to proclaim your love. The maps are in ‘figureground’ form, meaning they’re aerial maps that show only the masses of buildings and the voids of the streets. This type of map provides a picture of the architectural nature of a city as well as its layout. Matt Tomasulo founded CityFabric, Inc. in 2011 and launched a Kickstarter project, far exceeding his original goal to raise over $36,000. 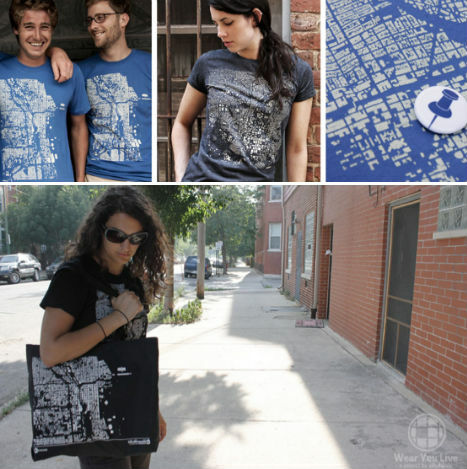 The help of the project’s enthusiastic backers not only enabled CityFabric to begin printing on a larger scale and expand to new cities, but also to start on a larger goal: using these civic-minded products to fuel civic-minded projects. Believing that the more people talk about a place, the more they’ll get involved in their community, CityFabric has begun funding and promoting small-scale civic and social interventions. The first was ‘Walk Raleigh’, a guerrilla wayfinding system of 27 signs placed at 3 intersections in downtown Raleigh. The second employed non-permanent industrial sidewalk stickers to help direct pedestrians in New York City.